On Thursday the Golmaal series completed 10 years since its first release and director Rohit Shetty and Ajay Devgan celebrated it with some exciting news for his fans. He announced that Golmaal Again, the fourth installment of the movie, will be released on Diwali 2017. 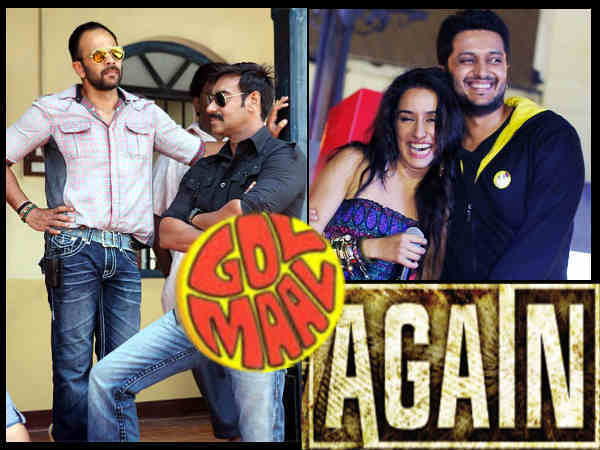 Golmaal Again is coming six years after the release of the last sequel Golmaal 3 and we will have to wait to see if the film enjoys as much popularity as it did earlier. After making hit films like Bol Bachchan and Singham, the actor- director jodi Ajay Devgan and Rohit Shetty will again come back together for this film.